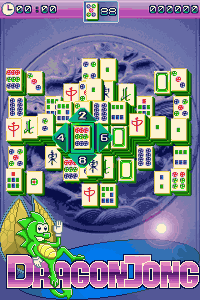 Classic tile game Mahjong featuring traditional tiles set against a backdrop of ancient dragons. Features Quick Puzzle game - play against the clock to clear a mini puzzle and Big Puzzle game; 3 large puzzle layouts with no time restriction. AD FREE.